The MINI Cooper S Hardtop 2 Door has been built with the latest in performance engineering, premium technology features, and top-notch safety options. 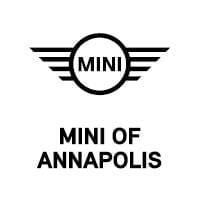 And in this 2017 Mini Cooper S Hardtop 2 Door review, we at MINI of Annapolis will go over the characteristics of this unique small car for drivers in Annapolis, Highland Beach, and Hillsmere Shores. Read more about this vehicle below, then reach out to us to get behind the wheel. The MINI Cooper S comes with a 2.0L 4-cylinder MINI TwinPower Turbo engine that’s paired with a 6-speed Getrag manual transmission, or an optional 6-speed automatic transmission or 6-speed sport automatic transmission with shifter paddles. With this pairing, the zippy little car can produce 189 horsepower and 207 lb-ft of torque. Whether you want to focus on power or fuel-efficiency, or have that perfect balance of both, you can do so in the MINI Cooper S Hardtop 2 Door through one of three driving modes: Sport, Green, or Mid. And with Dynamic Stability Control, as well as MacPherson struts in the front and a multi-link suspension in the rear, this vehicle delivers top handling and selective brake pressure to stay in control on even the most winding roads. The 2017 Cooper S Hardtop 2 Door offers plenty of impressive technology features, all seen on the MINI Connected in-dash display. This system seamlessly integrates every media option on the high-resolution 6.5-inch display, or an optional 8.8-inch display. Browse for music through Pandora®, Spotify®, or TuneIn radio. Use the navigation system with real-time traffic updates to get to your destination easily. Find parking and gas stations in unfamiliar areas. There’s also the optional parking assistant. This feature will find an available parking spot, then will take control of the wheel and gently steer the vehicle into the spot. It’ll also give precise prompts to the driver on when to accelerate and brake. The 2017 MINI Cooper S Hardtop 2 Door was built with your safety and security in mind. In case of a collision, the 8-airbag system (including two front and two side impact airbags) will help protect you and your passengers from any secondary impacts. Corner Brake Control (CBC): If you brake at any point while making a sharp turn or changing lanes, CBC will help improve the vehicle’s stability by evening out the braking pressure from side to side. Adaptive Cruise Control: This system helps your MINI Cooper S maintain a set speed on the road. It also uses video to monitor the road and will automatically adjust your speed to maintain a safe distance from the vehicle ahead of you. 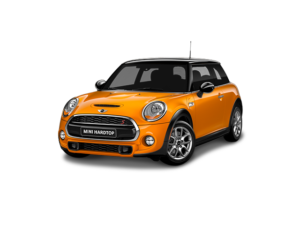 Test Drive the MINI Cooper S Hardtop 2 Door Today! From a smooth performance to advanced technology and safety features, the 2017 MINI Cooper S Hardtop 2 Door is a great vehicle to take on the roads of Annapolis, Highland Beach, and Hillsmere Shores. 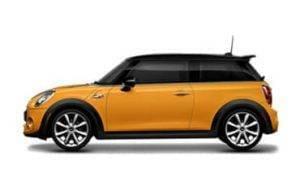 To experience this car for yourself, contact us at MINI of Annapolis to schedule a test drive today!